Blue Jewel. This is my fourth skin. 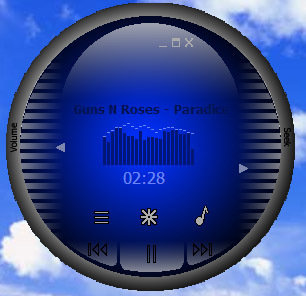 This skin has all of the basic buttons and also has a playlist window, a visualisation window and a media menu. Please comment on it and report and bugs thanks. Over 500 downloads and still no comments... come on guys... any suggestions?